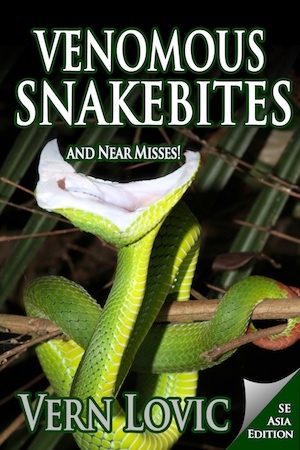 Here is a list of Thailand’s thirty-five most venomous and dangerous venomous snakes. These are snakes which can put you in a hospital with severe symptoms, some of which could be life threatening. Do be careful around all of these snakes and do not handle, provoke, or get in close proximity to these snakes. Save 50% if you order before April 15! Click book cover to see.